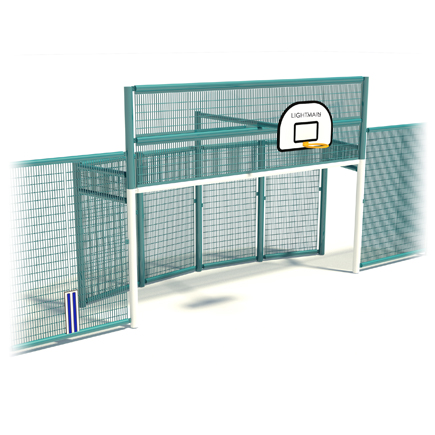 Our Large Curved Back Goal End design features our Predator Sports fencing system and is supplied with basketball hoop and backboard. The curved back unit also incorporates DDA compliant pedestrian access. We recommend this goal end in MUGA’s over 25m in width.